Eduard Zuckmayer emigrated to Turkey in 1936 because the Nazis had banned him from his profession. At Atatürk's request, he built up music education in Ankara. He stayed until his death in 1972 and is still a well-known and respected man in Turkey today. The film looks for the traces he left there. Eduard Zuckmayer was born in 1890 in Nackenheim near Mainz, he is the older brother of the author Carl Zuckmayer. His musical talent already became apparent as a child. He began a successful career as a pianist, but shifted his focus to music education already in Germany. In Turkey he aroused interest in classical, western music, but also placed great emphasis on making music accessible to all parts of the society. He translated German folk songs into Turkish and arranged Turkish pieces for several voices. Former students still live in Ankara, telling how he supported them, but also how he lived. His daughter Michele speaks about her childhood in Ankara and Edzard Reuter, former Mercedes manager, describes his memories of Eduard Zuckmayer and of that time. With his family he was in Ankara in exile too, until 1946. 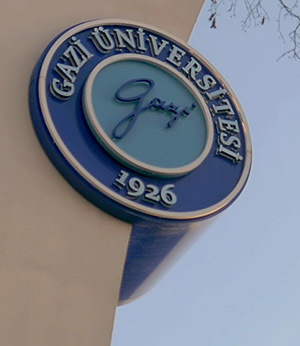 However, the film focuses on music projects that go on working in the tradition of Eduard Zuckmayer, and a visit to Gazi University in Ankara, his domain. The film also asks how well integrated he was. At Gazi University in Ankara, Eduard Zuckmayer headed the Institute for the Education of Music Teachers for 32 years; it was his ‘child’. Together with Paul Hindemith he developed the pedagogical concept and also planned the buildings, one is named after him, the 'Zuckmayer Binası'. For a long time this institute was the only one in Turkey, today they also exist in other places, e.g. 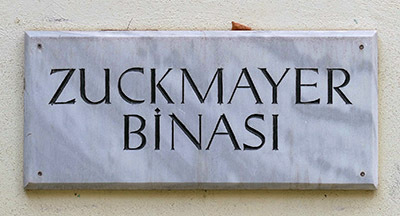 in Izmir at 'Dokuz Eylül Üniversitesi', the director is a former student of Eduard Zuckmayer. 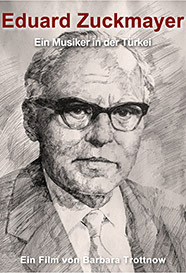 The choir of Gazi University has one of the pieces in its repertoire that Eduard Zuckmayer has harmonized. 'Bursa Sekme Oyun Havası’ is a traditional Turkish dance song that Zuckmayer arranged for polyphonic choral singing. Wherever one asks for him, the song 'Dostluk' is sounding, which is based on the old German folk song 'Wahre Freundschaft' and was translated into Turkish by Eduard Zuckmayer, like many other songs. 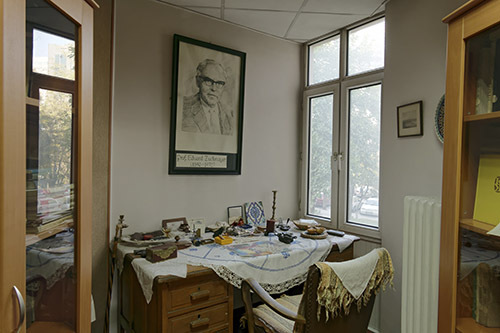 His former workingroom is now a lovingly designed memorial room in which his music notes and books are kept, but also personal objects and memories of Germany. Even after his death in 1972 he is a highly respected man in Turkey who enjoys a legendary reputation, especially among musicians. Atatürk wanted to orient the republic, founded in 1923, towards the West and brought experts into the country to help reform the political system, but also to communicate previously unknown educational content. This was a lucky chance for many Germans, whose profession and future had been taken away by the Nazis in their homeland. In Turkey, they were able to contribute their knowledge - and found recognition. Today it is Eduard Zuckmayer's students who form the musical life there. Prof. Zuckmayer teaches piano and choir, but also harmony and music theory. Learning music meant making music for him. And music should be accessible to everyone. 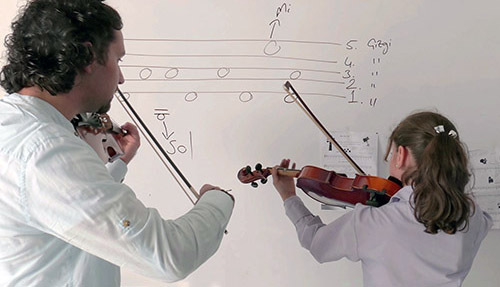 MÜZED, the Association of Turkish Music Teachers, has initiated a project that takes up this idea. In their free time, music students teach children in a socially disadvantaged district who would otherwise have no chance to play violin or piano. 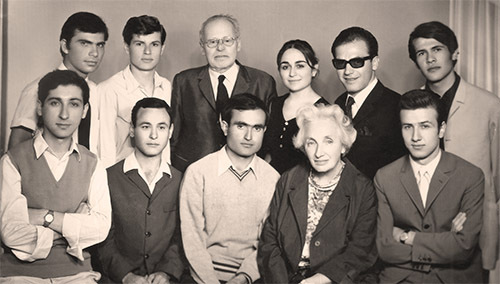 The director, Prof. Dr. Suna Çevik was a student of Zuckmayer. But the film also approaches to the person Eduard Zuckmayer and asks how he has done in his new home country. His assistant Dr. Erdoğan Okyay says he felt like a Turk. In many letters it becomes obvious that he has already considered returning to Germany. The letters, but also many old photos, often provide unexpected insights into his professional and private situation. The actor Achim Stellwagen reads from the letters and lets Eduard Zuckmayer have a voice. Supported by "Stiftung Rheinland-Pfalz für Kultur" and "MFG Filmförderung Baden-Württemberg".